WINZI Industrial Co., Ltd. (Winzi ) focused on the field of mold and plastic marketing, integrated team of professional marketing ideas and Industrial Design technologies to provide customers with high quality marketing services. WINZI main products - Winzi enterprise industrial design , productor structure design, mould, mold open, injection plastic , paint , support the user to customize the interface application, module has a corporate enterprise . Powerful and flexible back-office management functions, static page generation, personalized modules to add functionality, various sections of custom styles FLASH functions for enterprise to create a beautiful atmosphere, and the marketing power of the mold . WINZI adhering to the "create value for partners," the core values of honesty, tolerance, innovation, service "as the spirit of enterprise, e-commerce and information services industry to create value through independent innovation and sincere cooperation. 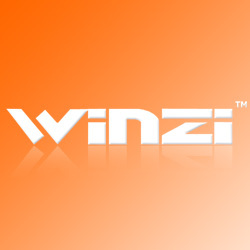 WINZI Co., Ltd. that customers, suppliers, shareholders, employees, and their own cooperative relations between the units and individuals who are their partners, and only through efforts to create value for partners, in order to realize their own value and access to development and success. WINZI Co., Ltd. that honesty is the foundation of all cooperation, tolerance is the premise of problem-solving, innovation is a tool for career development and service is fundamental to create value.